At the end of season three, Charlie and Alan were headed away from bachelor life. Charlie and girlfriend Mia were getting close to tying the knot. However, when it became clear that Charlie would have to give up Alan and Jake for marriage, he picked family. Despite the fact Alan married his young, ditzy girlfriend Kandi, won five hundred thousand dollars, and bought a condo. Four months later, season four begins and life quickly gets back to normal. Kandi kicks Alan out and files for divorce. He is broke and goes back to Charlie. Since losing Mia, Charlie spent his time partying, boozing, and chasing women. Now, Charlie, Alan, and Jake get reacquainted and there are some solid laughs. After the guys settle back into bachelor life, there are a couple major season developments. The first development is Alan’s divorce. The early season episodes deal with his financial situation getting worse and worse. Alan loses his condo, his dog, his pride, and pays two alimonies after Judith gives Kandi her divorce lawyer. The flipside to this story is Judith and Herb’s relationship. They get engaged and Alan and Charlie do everything they can to get them hitched. Alan’s romantic life is also a big development. Some of his love interests include Berta’s daughter Naomi and guest stars Brooke Shields and Allison Janney. Life for Charlie is busy as usual. He spends most of his time chasing after women, drinking, and working very little. “Apologies For the Frivolity” is a fantastic episode. Charlie dates a woman who has uncanny similarities to Evelyn. Everyone sees it but Charlie. In the episodes “Smooth As A Ken Doll” and “Aunt Myra Doesn’t Pee A Lot”, Charlie and Herb’s sister Myra hit it off. As the relationship gets intimate, Alan fears how it will affect Judith and Herb. Charlie worries because he thinks he has true feelings for Myra. Everyone is in for a surprise in this highly comical, yet ironic storyline. “Tucked, Taped and Gorgeous” is another solid episode, where Charlie’s sexuality comes into question, as does Alan’s. Charlie has many other fun interludes, but these ones are among the best. As for Evelyn, there are a couple great episodes involving her and her overzealous sons. In “The Sea Is a Harsh Mistress”, Charlie goes surfing with a beautiful beach babe. The catch is that he does not know how to surf. He gets in an accident, which leaves him with a slight concussion. Just as Charlie’s life flashed before his eyes, he saw his father, who told him to take care of mother. Charlie teams with Alan to treat their mother better. “I Merely Slept With a Commie” is another fun episode with Evelyn. She makes Charlie and Alan jealous by getting a new family. 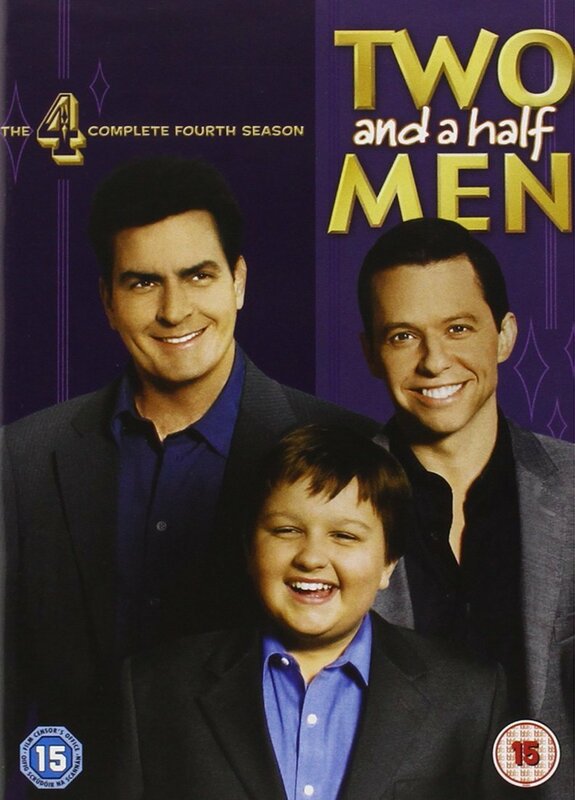 Overall, season four continues the enjoyable and hilarious comedy found in past seasons. Season three is another fun set of episodes with two and a half of America’s funniest bachelors. The season has several classic, over-the-top episodes that include Charlie dating a cultist, Alan dating a grandmother, Jake taking ballet, and Rose’s dad entering the picture. There are also some good all-around developments for the cast. Notably, Charlie gives up on his bachelor lifestyle after meeting the perfect woman. The season kicks off with “Weekend in Bangkok With Two Olympic Gymnasts”. Charlie tries to prove his value as a responsible adult. He agrees to run Alan’s office while he goes to a school appointment for Jake. Of course, Charlie makes a muck of things and Alan freaks out. 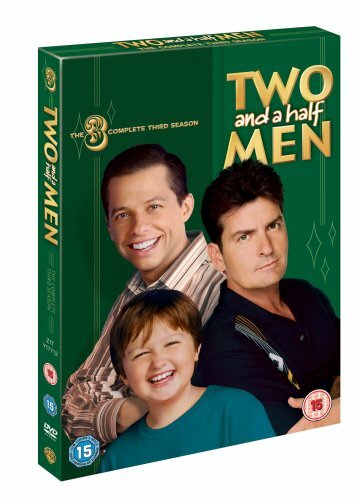 This aspect is not a new development, as pretty much the entire show has centered on the conflict between Charlie’s carefree personality and Alan’s neurotic behavior. The season gets better and better. The pinnacle occurs with episode six, “Hi, Mr. Horned One”. This episode has a goofy undertone. Charlie spends a ravenous few days with Isabella. She is an indifferent girl with ties to the underworld. When she meets Alan, they do not click. She puts a curse on him. It is a ridiculous episode that ends with on a great note. The next episode is “Sleep Tight, Puddin’ Pop”. This episode has classic written all over it. The real strength comes from the guest star Marin Sheen. After Charlie gets drunk and wakes up with Rose in his bed, Rose’s father (Martin Sheen) demands to know Charlie’s intentions for his daughter. But after meeting Evelyn, Rose’s dad becomes obsessed with her and moves in — father like daughter. It is a great episode with an awesome performance from Martin Sheen, who fits the show like a glove. The next two episodes are also great and worth noting. In “That Voodoo That I Do Do”, Charlie meets Mia (Emmanuelle Vaugier), the woman of his dreams, who resists his charm. Charlie ties to win her over and fails. Eventually, he learns that she is a ballet teacher. To get on her good side, he pays Jake to take ballet lessons from her. The situation is simply funny and even kookier as Jake falls for her too. “Madame and Her Special Friend” has Alan at the center of an old tale. After trying to smooth things between Charlie and senior citizen neighbor Norma, Alan befriends her. One thing leads to another and he finds himself in an odd position as her young lover. Alan weighs his pride against material goods. He can have his own building dedicated to chiropractics; the catch, he has to sleep with her. Overall, it is a solid season that has a lot of laughs and fun for everyone to enjoy.